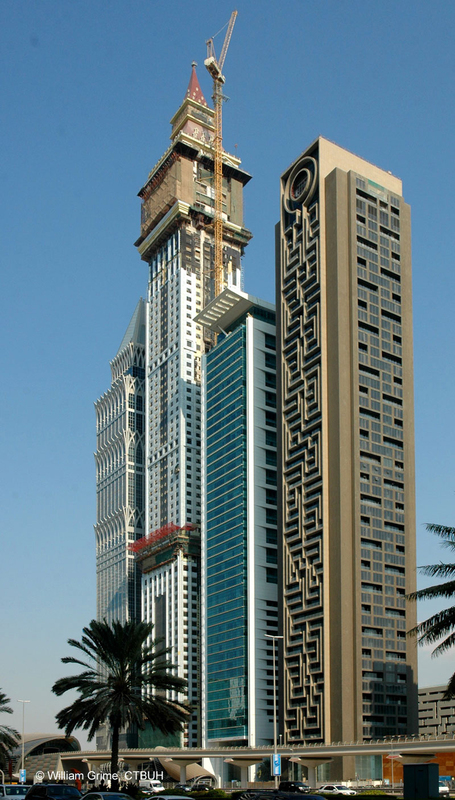 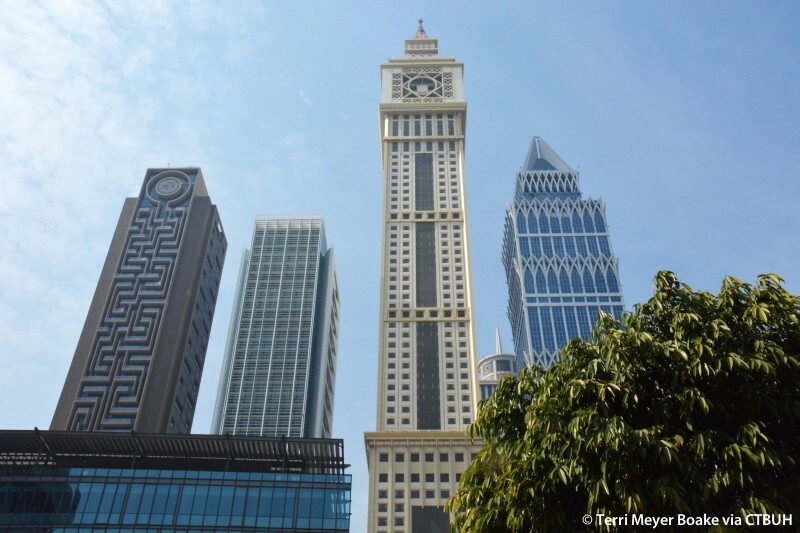 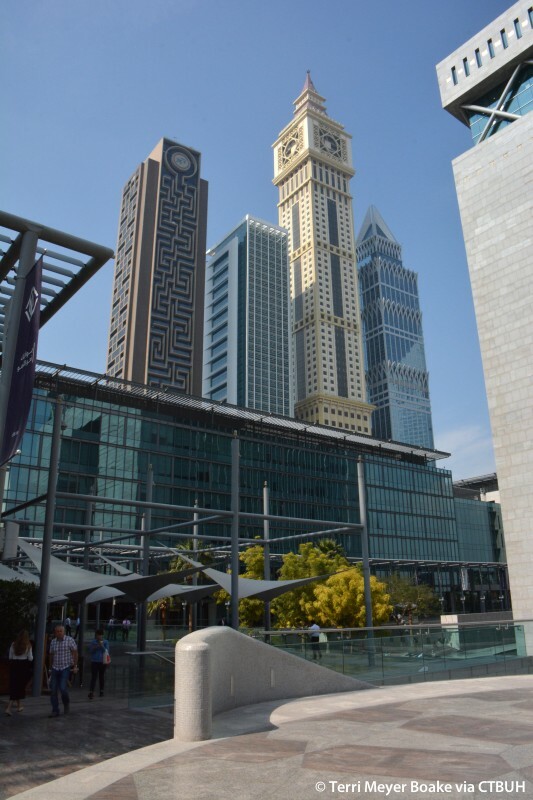 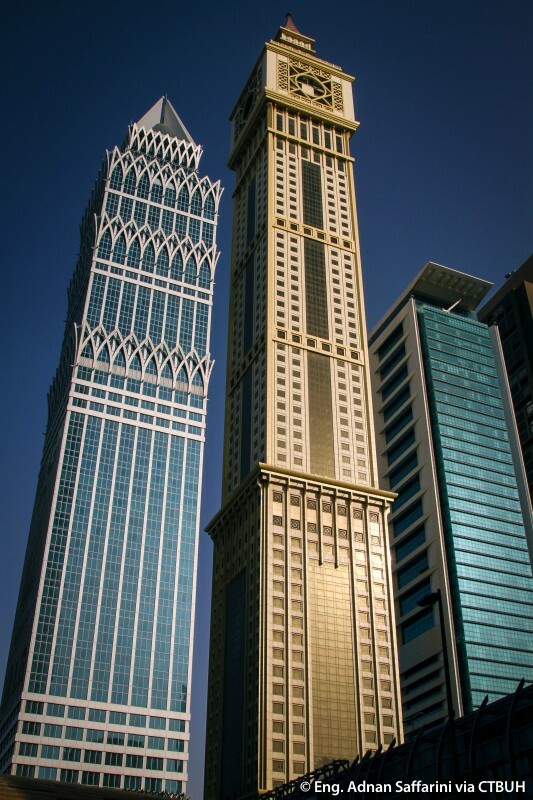 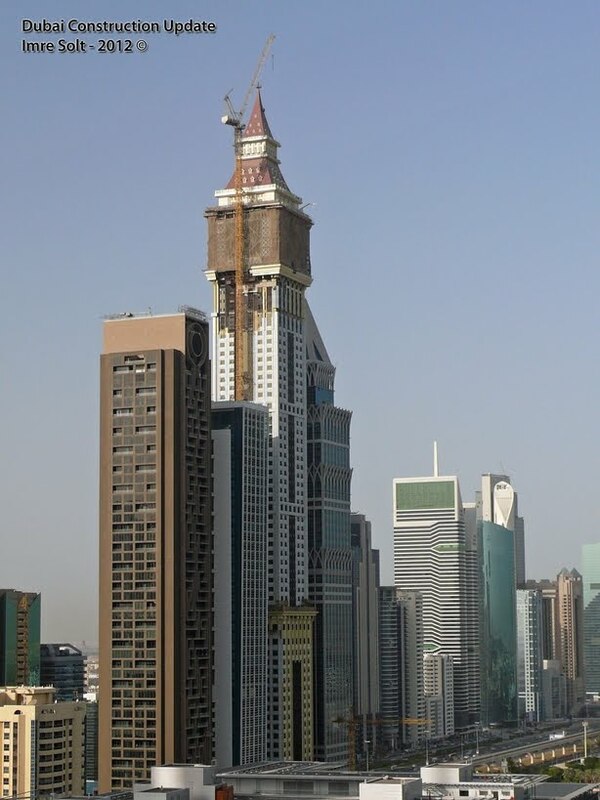 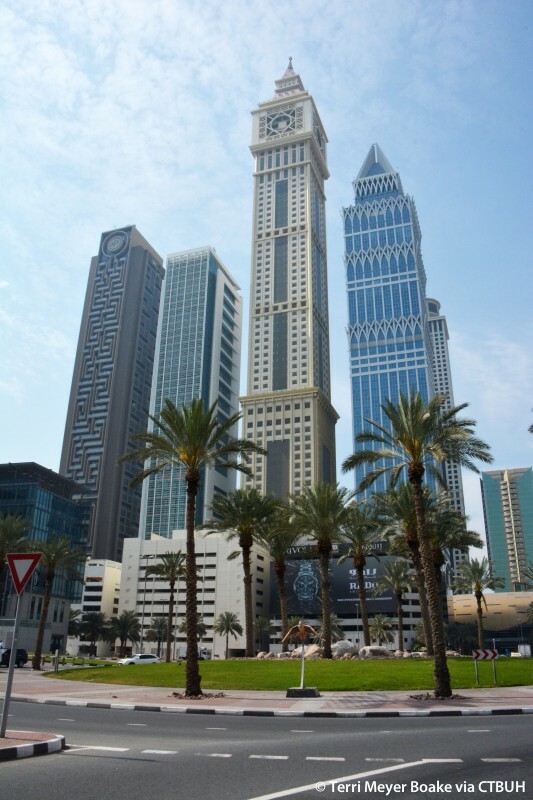 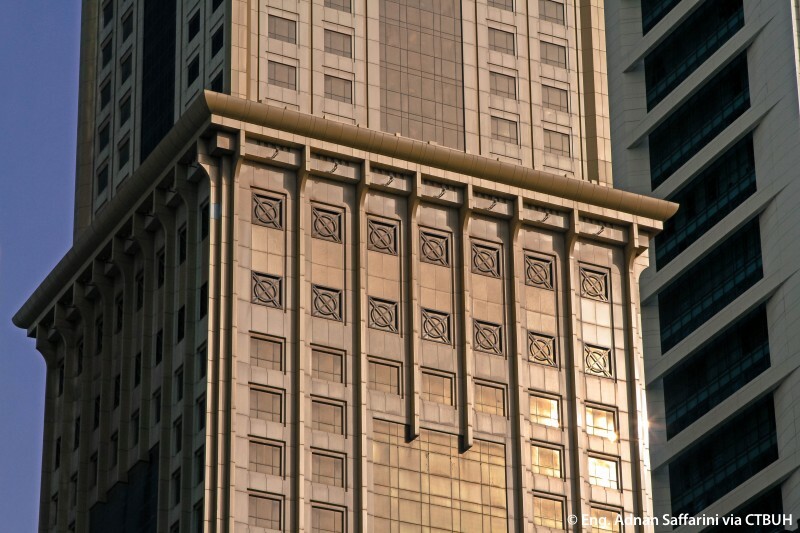 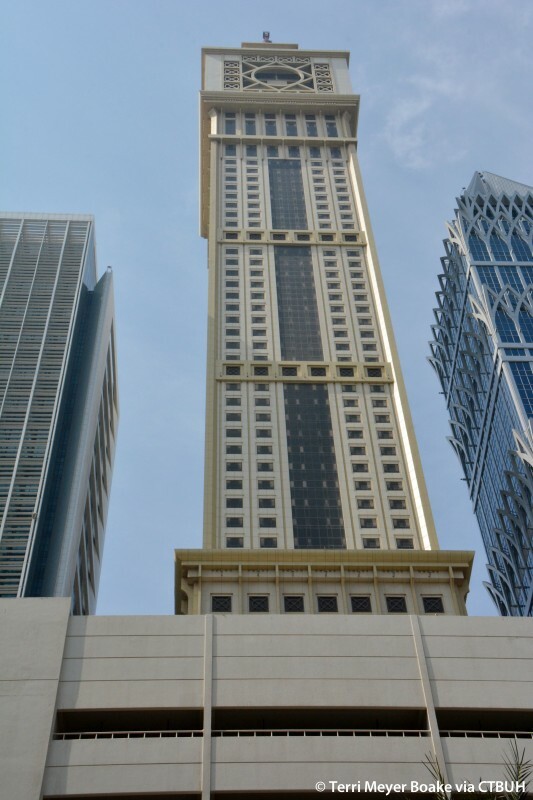 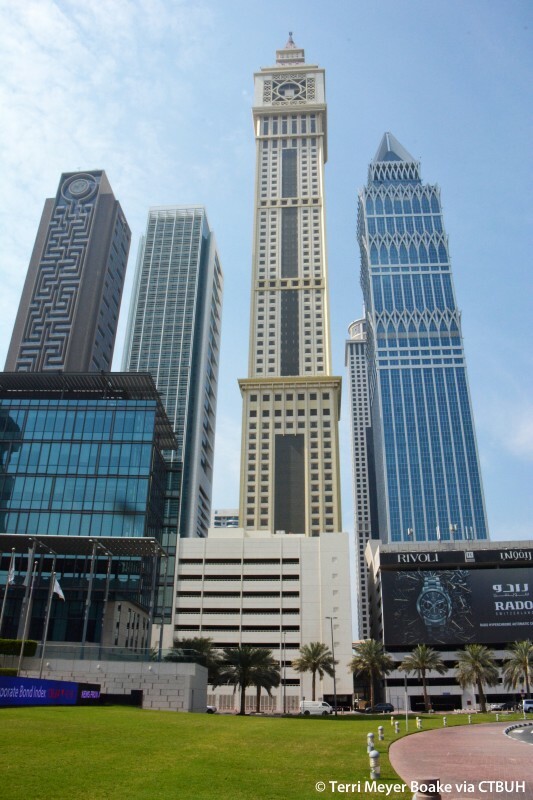 Al Yaqoub Tower stands out among the row of tall buildings flanking Sheikh Zayed Road, Dubai’s main arterial roadway paralleling the coastline. 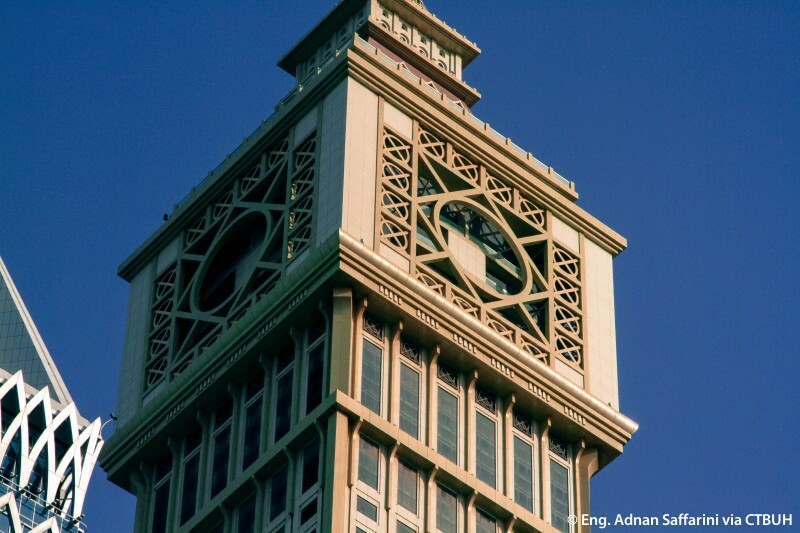 The design began as a residential tower inspired by London’s Elizabeth Tower, the famous clock tower built alongside the Houses of Parliament more commonly referred by the name of its bell, Big Ben. 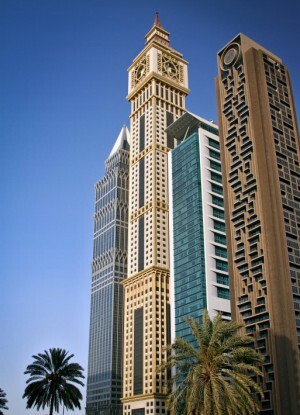 Dubai Municipality planners objected initially to the design, citing the clock face feature would be a distraction to drivers passing by on the busy roadway below and had encouraged the developer to construct the building instead in the Nakheel's International City development closer to Dubai International Airport. 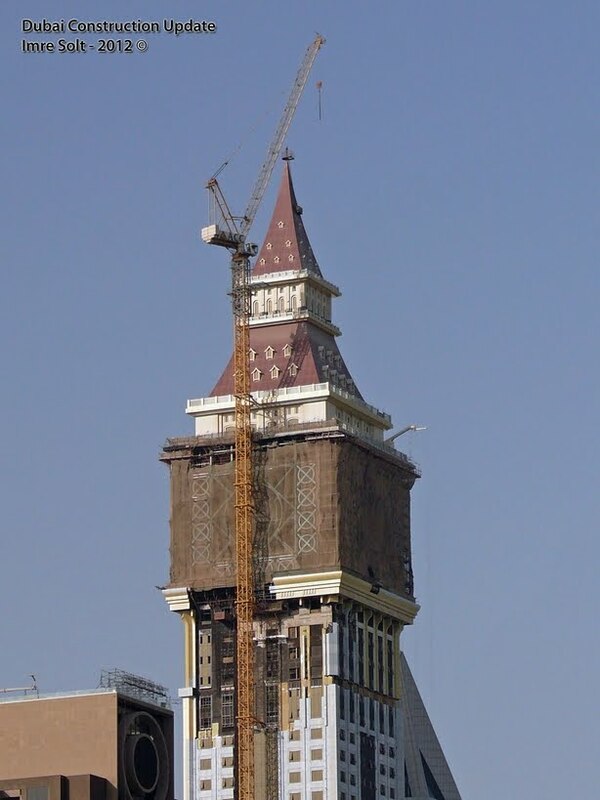 The proposal however was eventually approved, and while the tower’s form remained close to the original design concept, the clock face was removed from the plans. 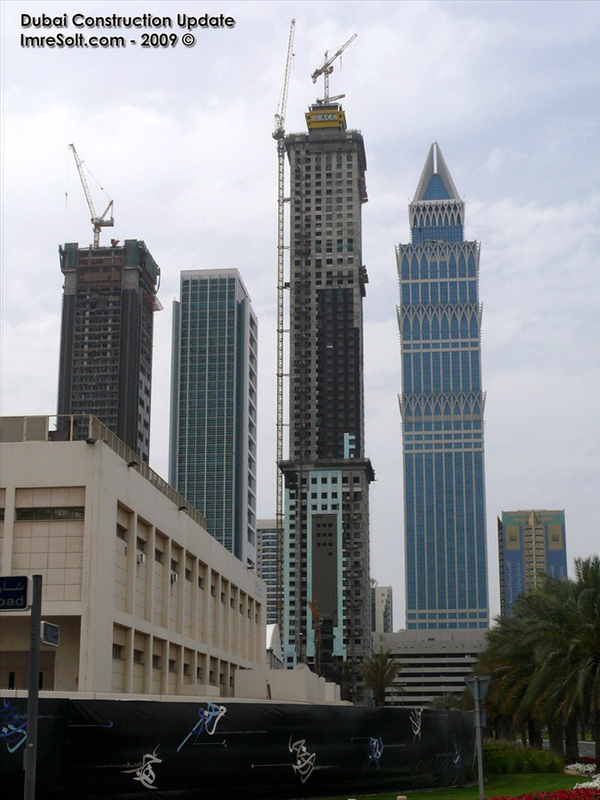 After construction began in 2006, a programming switch from residential to commercial use was made, stalling construction until the revised plans were finalized. 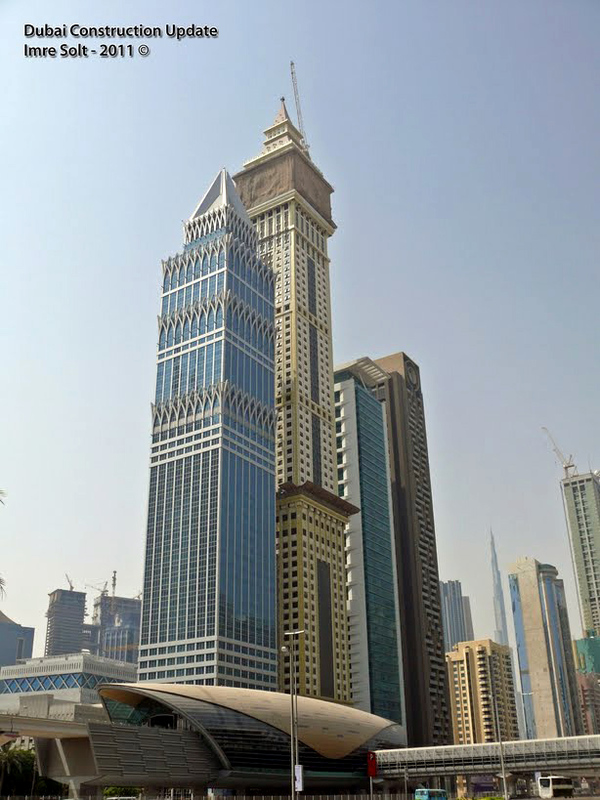 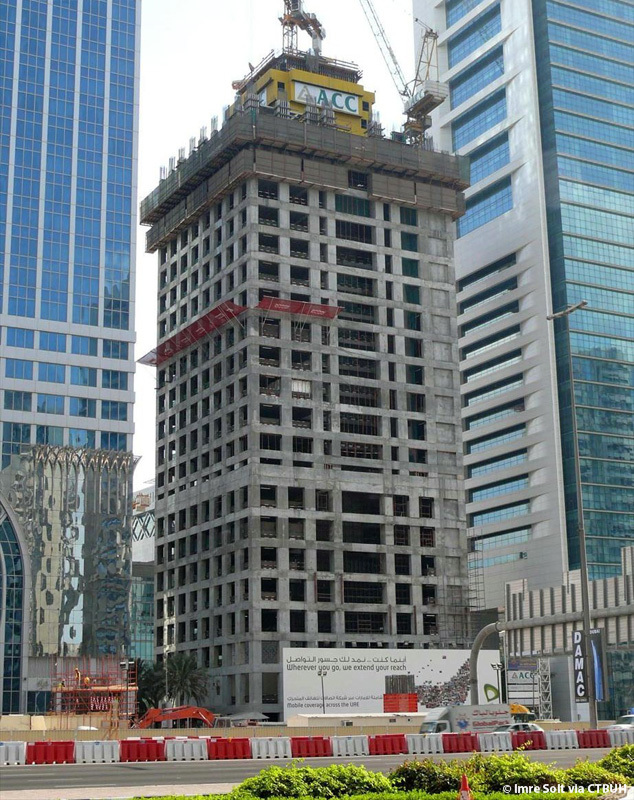 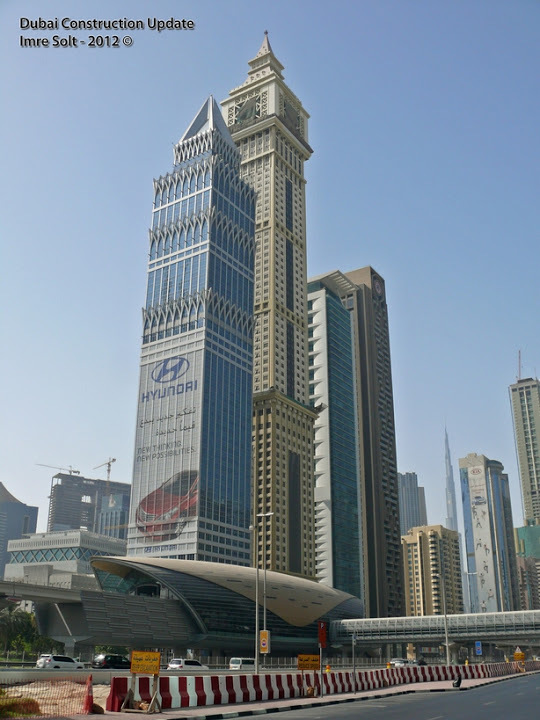 Construction resumed and the building was completed in 2013, despite many other exuberant Dubai projects stalling or outright canceling construction during this time period due to a deep economic recession. 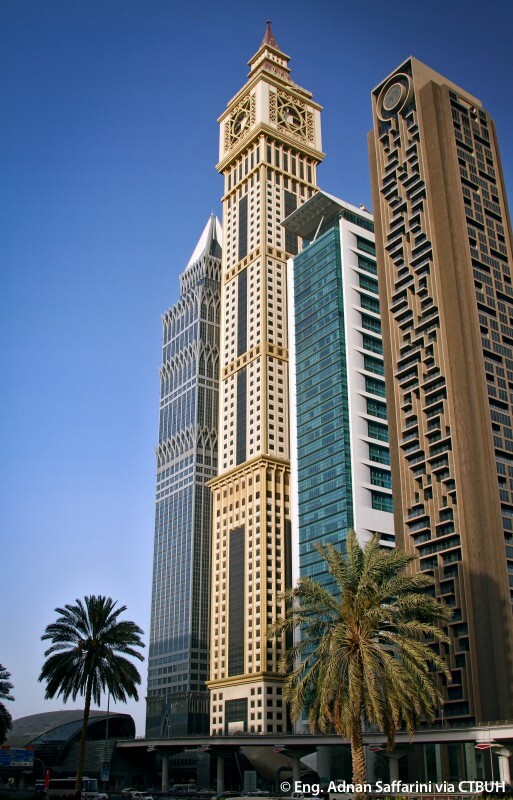 While the design initially received a fair share of criticism, it is also believed by some that the tower’s uniqueness and ability to visually stand out will allow the design to stand the test of time and eventually be regarded as one of Dubai’s better known landmarks, an icon of a period which saw tremendous growth to Dubai and the emergence of one of the world’s most notable skylines.